Today in Masonic History Wayne Norviel Aspinall is born in 1896. Wayne Norviel Aspinall was an American lawyer and politician. Aspinall was born on April 3rd, 1896 in Middleburg, Ohio. In 1904 the family moved to Palisade, Colorado. He attended the University of Denver until World War I. He enlisted in the Army and served in the Air Service of the Signal Corps. After the war he returned to the University of Denver and graduated in 1919. Aspinall's family traditionally voted Republican. In 1912 when a rift formed in the Republican party between Theodore Roosevelt and Taft, Aspinall became disillusioned and became a Democrat. Many of his more conservative opinions remained though which did cause some strife with other members of the Democratic Party. Specifically Aspinall felt that states, not the Federal Governement, should be the decision makers regarding there own natural resources. After college, Aspinall traveled around the state teaching. Eventually he enrolled in law school. He graduated from law school in 1925. In 1930, Aspinall ran for and won a seat in the Colorado House of Representatives. He served as Speaker of the House from 1937 to 1938. After serving as speaker he moved to the Colorado State Senate where he served from 1939 to 1948. During his term in the Senate, Aspinall served during World War II in 1943 and 1944. 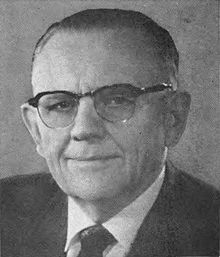 In 1948, Aspinall decided to run for the United States House of Representatives. He saw the national office as a stepping stone to becoming the Governor of Colorado. Once in the House of Representatives, he would stay in office until 1972. During his time in the House Aspinall sponsored many bills, most had to do with land management and the flow of water in and around the state of Colorado. In the 1950's this brought Aspinall in conflict with a national enviromentalist movement. In the 1950's more was being learned about the enviroment and the potential impact it had in regards to new dams. After leaving office in 1972, Aspinall remained active in politic, although he would never hold another public office. He would push for a more self-reliant United States when it came it's energy needs. Towards the end of his life he pushed for expanded oil shale development. Aspinall passed away on October 9th, 1983. Aspinall was a member of Palisade Lodge No. 125, Palisade, Colorado.